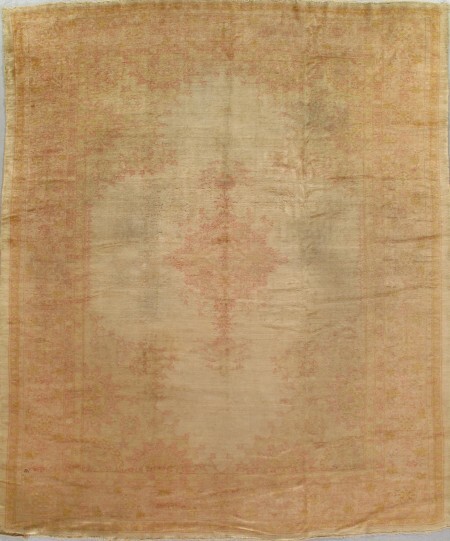 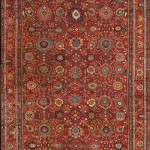 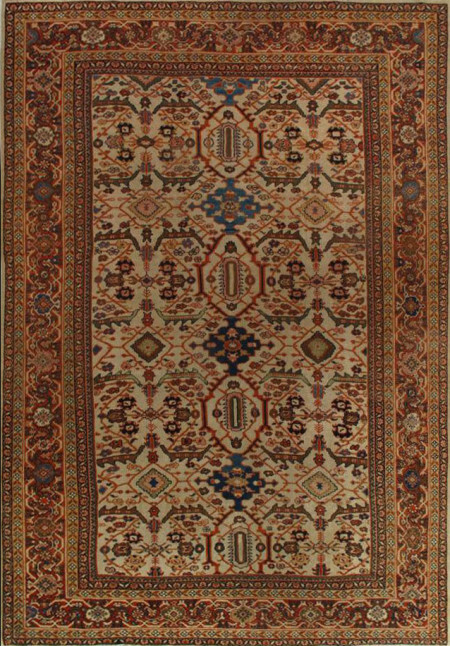 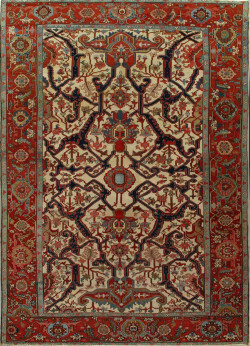 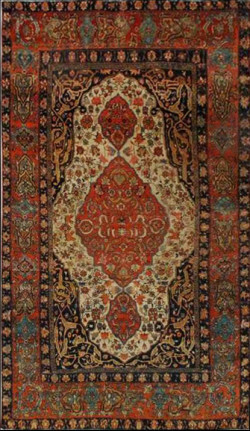 Kashan Mohtasham Rug-980301 The pile of this c.1880 Mohtasham Kashan is from the finest Australian merino wool. 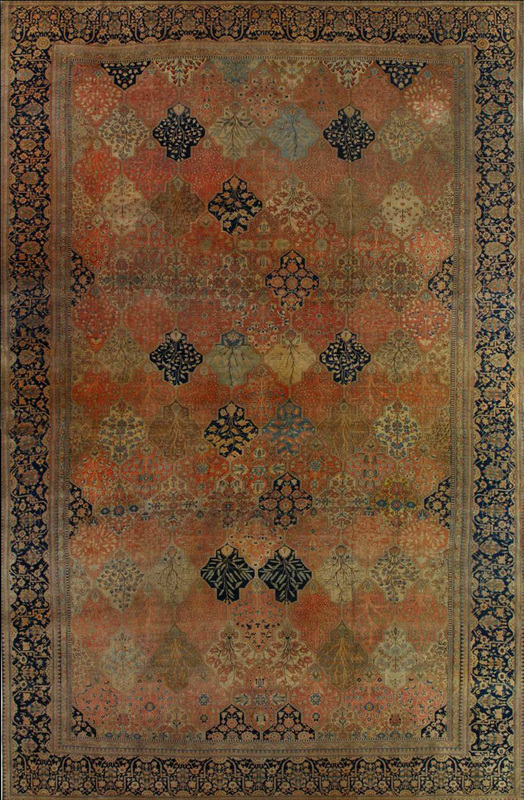 The pattern is an overall lozenge repeat in rust, navy, ivory, yellow, medium blue and brick, with flowering plants or floriate quatrefoils in the panels. 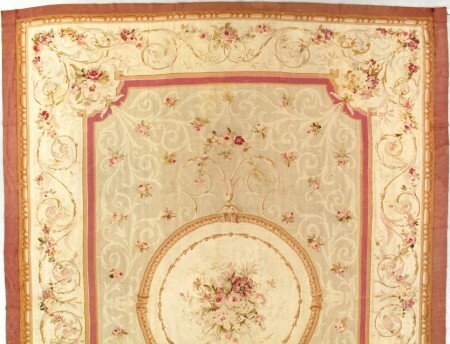 The navy arcade border has stylized flowering plants embraced by vines.